In Europe, food waste is about 280 kg/capita every year. Isoclast can address those food losses caused by insect pests. 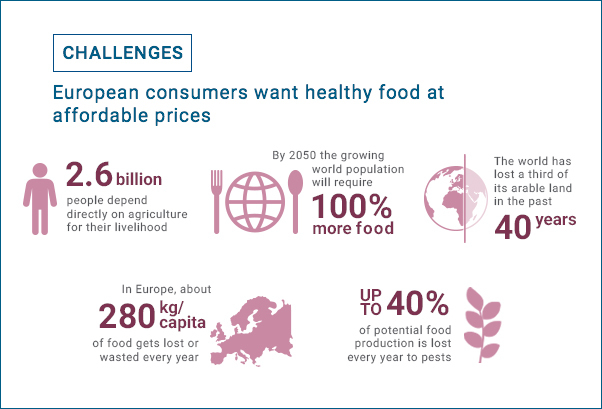 In today’s challenging economic climate, European consumers want fresh, high-quality and nutritious food at affordable prices. Yet, as demand grows and the strain on arable land increases, farmers have decreasing options available to them to tackle the devastating pest problems that threaten their crops and food security. 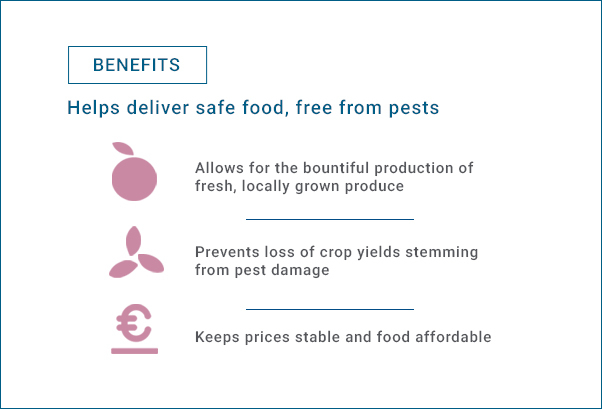 Isoclast™ active helps enable access for European consumers to fresh, bountiful, locally grown fruits and vegetables by controlling insect pests and thereby protecting yield and product quality. Currently around one third of the food produced for human consumption every year is lost or wasted . In Europe, food waste is about 280 kg/capita every year , of which two thirds are lost between agricultural production and retail. In fruits and vegetables around 20-40% of the production is lost in the fields . Isoclast can help support a sustainable supply and price stability by addressing those food losses caused by insect pests. It’s important to note that Isoclast has been used in millions of hectares worldwide over several growing seasons with no reported harm to honey bees. Global food losses and food waste – FAO. Extent of food losses and waste – FAO. Feeding the world sustainably – CropLife International.